These are four days participatory learning courses consisting of mini-workshops, case discussions, demonstration using A-V aids. 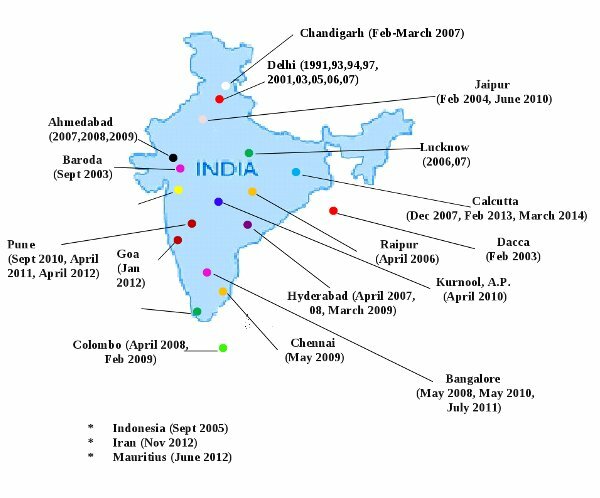 Division of Neonatology at AIIMS in collaboration with other partners is organizing them for the last 20 years. We have a dedicated team of Learned Faculty from India & Abroad, who believe in small group teaching. These workshops were initially organized at AIIMS, New Delhi with support from overseas faculty (one to three). Once the modular based learning course material got established, satellite workshops are being conducted on the same pattern by experienced faculty members all over India and SEAsia . From 2010 the format of workshop is changed to 3days on Basics of Neonatal Ventilation. University of Pennsylvania, Philadelphia; University of Illinois, Chicago and University of Calgary, Canada helped in developing this modular- based teaching tool.